Nebraska opened as a 4-point favorite over Colorado in the Huskers’ second season-opener of the season. On Monday morning it was up at Nebraska -4.5 at Wynn Las Vegas. I was interested in what this line would open at. Obviously there’s nothing beyond the preseason projection, power ranking and home field advantage to go on for the Huskers after Saturday’s cancelation. But 1-0 Colorado? The Buffaloes stomped in-state rival Colorado State (0-2) last Friday, 45-13. I haven’t had a chance to go back and watch that game yet, but the box score painted a picture of a grisly, football murder in foothills of the Rocky Mountains. A 6.4-to-2.6 rush yards per play edge. A 13.5-to-4.9 pass yards per attempt edge. A 9.2-to-3.7 total yards per play edge. A 7.4-yard edge in average starting field position. Not bad considering the Buffs were just a 6-point favorite on a neutral field. Now, it’s possible Colorado State just isn’t much good at this early stage in the season. The Rams lost to Hawaii in Fort Collins in Week 0 as 17-point favorites, and they’re 13-point underdogs at home to Arkansas this week. So how good is Colorado right now? It’s not much easier to answer that question for Colorado than it is for Nebraska. After one game (in which the Buffaloes put up nearly 600 yards) FPI ranks Colorado seventh nationally in offensive efficiency, but Hawaii also did whatever it wanted on offense against the Rams (8.45 YPP). Here’s what we do know: Junior quarterback Steven Montez was great last week, and we came into the season thinking he was the key to making the whole thing go for Colorado offensively. Mark Kiszla of the Denver Post wrote that Montez wasn’t just good in Game 1, but perhaps different. His talent has always shone “as bright as a comet,” Kiszla wrote, but the game against Colorado State represented something else –– diligence. One of the coolest summer gigs for any college quarterback is to be a camp counselor for the Manning Passing Academy in Louisiana, a four-day clinic staged by America’s first family of football. At the camp, Peyton and Eli Manning sat him down and told Montez a great QB invests as much time as it takes to learn everything about an opponent and the game plan “until you know it,” CU coach Mike MacIntyre said. The advice has turned Montez into a film-room rat, watching video and working with a simulator, deep into hot August nights. So I guess the good news for those in red this week is that there is no film of the Huskers’ defense. Also, I don’t think the task of beating Nebraska in Lincoln got any easier after last week’s false start of a start. But just to entertain the other outcome for a second, say Colorado does win on Saturday. 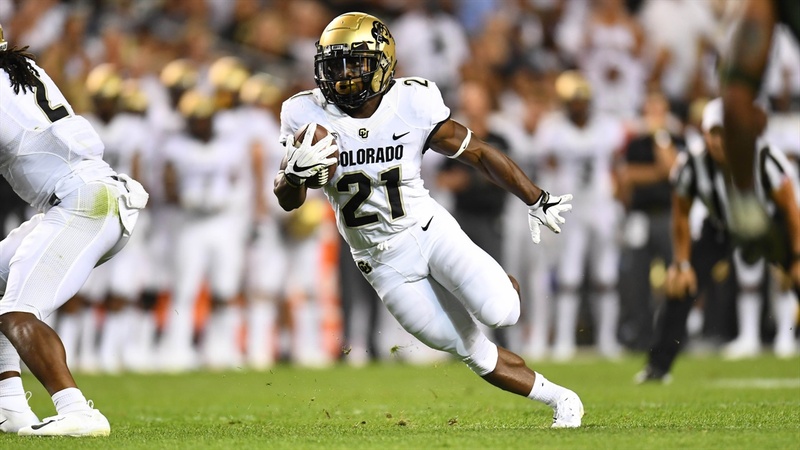 The Buffaloes next three games are against New Hampshire, UCLA (which lost at home to Cincinnati in Chip Kelly’s debut) and Arizona State, all in Boulder. I’m in no way expecting 5-0 to happen, but it’s not off the table either. Mike MacIntyre could be off the hot seat by the first Sunday in October. I’ll be interested to hear Scott Frost’s impressions of Colorado at today’s press conference. Once, y’know, we get through all of the questions about last Saturday night. Speaking of Saturday night, the Nebraska and Akron ADs both issued statements about the decision to cancel. Please read Derek Peterson's post-"game" story from Sunday. It is excellent. Jacob Padilla recaps all of the NFL transactions involving former Huskers from the weekend. Recruiting analyst Greg Smith was busy working the phones on Sunday to check in with visitors from the Game That Never Was. You can find all of those stories here.